In Dallas, we've seen restaurateurs sprinkle Flamin' Hot Cheetos dust on tacos or add Flamin' Hot Cheetos crust to mac and cheese. It was only a matter of time before cupcakes were baptized by fire. 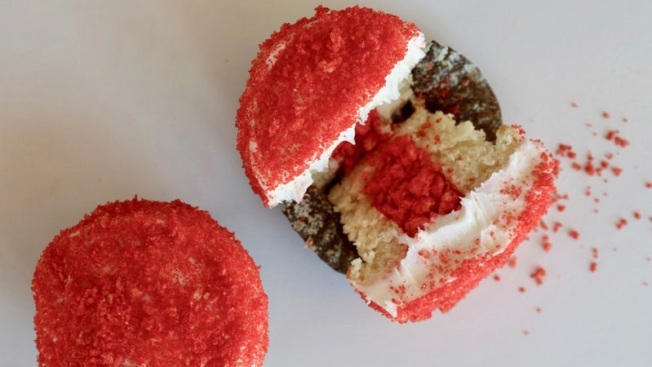 From March 18 through March 24, Sprinkles is selling a vanilla cupcake spiced up with crushed Flamin' Hot Cheetos, an ingredient that's become "a cultural phenomenon," says Charles Craig, vice president of culinary for the boutique cupcake shop. Go here to read the rest of the story from our partners at GuideLive.